Since its founding in 1941 by Thomas B. Slick Jr., the Texas Biomedical Research Institute has gained worldwide recognition in scientific and academic communities for the quality of its basic research. Our scientists work each and every day to improve human health by being a world leader in lifestyle and infectious disease research. Each year, our scientists are engaged in more than 200 research projects and publish well over 100 articles in the international scientific literature. Located on a 200-acre campus on the northwest side of San Antonio, Texas, Texas Biomed partners with hundreds of researchers and institutions around the world, targeting advances in the fight against cardiovascular disease, diabetes, obesity, cancer, psychiatric disorders, problems of pregnancy, AIDS, hepatitis, malaria, parasitic infections and a host of other infectious diseases. 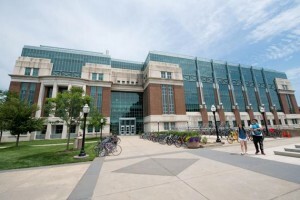 Its staff of more than 300 employees includes a multidisciplinary team of approximately 84 doctoral-level scientists who lead more than 200 major research projects in the Institute’s Department of Genetics; Department of Virology and Immunology; and Southwest National Primate Research Center. Below is an overview of our institutional leadership. A full list can be found on our administration page.